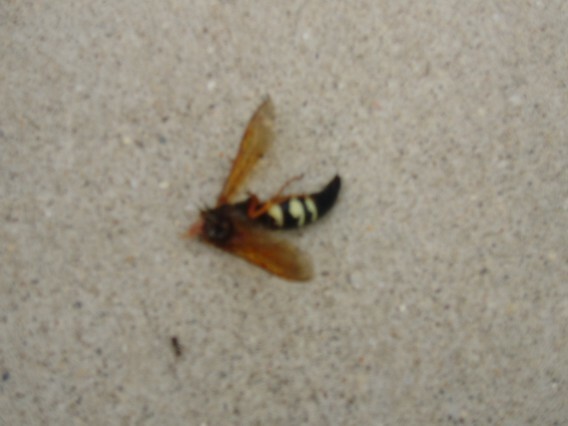 Is this a cicada killer? yes, that is definitely a cicada killer. Just so you know, Cicada Killers are harmless to humans. The males do not have stingers and the females only sting cicadas. Thank you for the datapoint however and the photo.